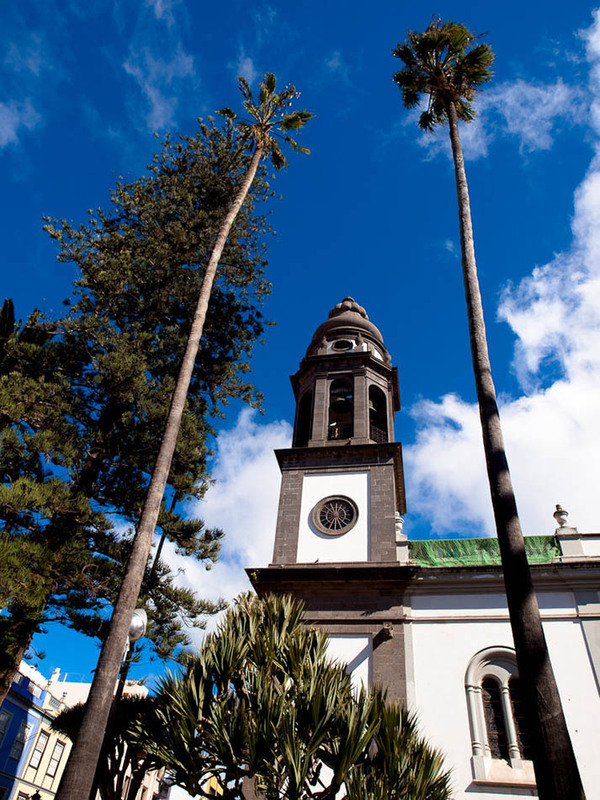 Discover the San Cristóbal de La Laguna Cathedral in Tenerife. The La Laguna Cathedral, known by its inhabitants as the Nuestra Señora de los Remedios Cathedral, is localized on the Fray Albino Square, on the old city center of San Cristóbal de La Laguna, on the island of Tenerife, in the Canary Islands. The San Cristóbal de La Laguna Cathedral has been considered Cultural Interest Good in the category of Monument in 1983. It was firstly constructed as Los Remedios Parish in the XVI century, yet this primitive parish supported many changes throughout the years till finally, on the XIX century, it was totally rebuilt and converted into a cathedral, specifically on the year of 1819. If you take a look at this beautiful cathedral you’ll see, in its interior, many singular pieces as, for example, the set of altar pieces known as “Retablo de Mazuelos”, the italian marble pulpit and the exceptional pieces of Luján Pérez, Fernando Estévez and Cristóbal Hernández.